Within the OR, there has been much discussion about the New Awakening; the usual context appertains to beliefs, what we do and how we behave. These are obviously vital considerations. But equally as important is our individual health, for without this, we can’t actually achieve our true potential for our theod and ourselves. So just what do we mean by ‘health?’ The word itself comes from the Old English haelth from hal meaning whole- as in hael no less. Yet how many of us truly understand the ramifications of this definition? We live in an age of reductionist thinking with regard to our bodies: medical science views them as a machine, the parts of which tend to break down with increasing frequency as we age. The medical system is thus crises oriented: physically, we are accidents waiting to happen; and when they do, a ‘professional’ must deal with the ‘case!’ Meanwhile, our minds, emotions and spirit are seen as separate entities altogether, having their own fields of ‘specialism.’ This state of alienation from our ‘whole selves’ is a natural progression of Christianity, which sees the body and life itself on this planet as ‘a fall from grace.’ And because we are ‘born into sin,’ the body itself is essentially ‘sinful’ and to be continually spurned in deference to the mind and soul: monks and nuns make a habit of it! However, increasing evidence points to the farcicality of this worldview. Neuroscience may have long explained the concept of the nervous system as an electrical network, with neurotransmitters at synapses that allow electrical impulses to pass from neuron to neuron: most of us think of our nervous systems in this way. But this constitutes only about 2% of the reality of communication within the brain. Approximately 98% of it occurs via information molecules such as hormones and neuropeptides, which are produced in varying concentrations throughout the body in response to internal and external changes. These then circulate freely in the blood, cerebrospinal and other extracellular fluids. The processing and regulation of this information occurs in the brain’s limbic system, the place where mind and body meet. Cognitive and emotional responses result, the ‘logic’ or otherwise of which is dependant upon the individual. Much of this activity is subconscious and we only become aware of it via our moods, muscular tensions, feelings and emotions; hence, the therapeutic value of bodywork lays in the altering of these dynamic events towards health. Additionally, our bodies are composed of over 70% water. Water contains memory since its unique properties cause it to act like a magnetic tape that records resonances of molecules that enter into it. Indeed, the current thinking in chemistry is that the resonant field information is doing the work and not the chemical substance in it: for everything is energy. (This is how homeopathy works and why tap water is so bad for us!). What this means in practice is that our whole body is constantly transmitting and receiving information in a multifaceted way: we are literally potentially aware of entirely everything that is happening both inside us as well as in the universe- all at once! For we are fractals and holograms of the earth and universe, and hence, integral to them. Obviously, the successful filtering of this potential information overload is vital to both our physical well being and sanity! But what these facts also mean is that what enters our bodies- food, water, air, academic and spiritual information- all exert a powerful influence upon our general state of health; and in today’s world, pollution in all of these areas is rife. At any level, polluted ‘resources’ will slow down our resonant energy field and erode our integrity, making us less sensitive to our being, other people, plants, animals, our surroundings and thus, less able to fulfil our personal potential. Ultimately, we will be less vital and thus less attuned to the needs of our theod and our gods and goddesses because our energetic flow will encounter blockages by pollutants at every level. Why then, do we witness a tenacious grasp of an outmoded world view if science is discovering otherwise- and in many cases, has been aware of it since the early part of the twentieth century? Because the relentless globalisation process- in which the pharmaceutical and petrochemical industries hold major powers- cannot afford to have a strong healthy population of spiritually aware communities, when its aims are a world full of passive, neurotic, rootless consumers with little more clout than a field of contented cattle! Unfortunately, the sinister facet of this process is that illnesses are being manufactured, not just via biotechnology, but also through the very food we eat. Numerous foods are not simply laden with residues of pesticides, antibiotics etc; many contain additives, which cause anything from tumours and neurological disorders to infertility: aspartame (nutrasweet) is just one such readily available culprit. Vaccination involves the introduction of mercury compounds, formaldehyde, aluminium phosphate, foreign proteins (antigens), contaminating animal proteins and viruses straight into our bloodstream: they erode the immune system and negatively alter the immunological response to disease. There has been a parallel increase in the incidence of asthma, leukaemia, cancer, attention deficit disorder, cerebral palsy and infantile convulsions in children of vaccination age. Petrochemicals are major hormone disrupters and air pollution has created proven genetic defects amongst gulls. Our personal care products are dangerous toxins, whilst pharmaceutical drugs of any type- even aspirin and paracetamol- are poisonous to the body. Even the vitamin and mineral profiles of fruit and vegetables are not what they were fifty years ago. Of course, the manufacture of a generally sick population that is dependant upon a nanny state ensures that people continue returning to the doctors for medication, which create further complications in the individual whilst lining the pockets of the pharmaceutical industry. Meanwhile, the media continually fires doubt on the efficacy of ‘complementary’ therapies in any way that it can, whilst the current move to legislate all herbal supplements is about monopoly of interests, not the touted issue of consumer safety. Numerous patents for clean energy resources are bought over by petrochemical companies- and never used. And of course, the ‘D-notice’ ensures that pertinent research goes unpublished- or is ridiculed, as with homeopathy. Even amongst ‘New Age’ healers, ‘wrong thinking’ is the scapegoat for almost any illness, from acne to cancer. Oft we are told that if chemicals affect us negatively, we must have somehow ‘attracted’ this condition to ourselves because of our unbalanced thinking: it might even be karmic (read: of no concern to others)! This is ‘blame culture’ at its best, which of course benefits multinationals enormously- even if they prefer to call an individual’s ‘misfortune’ susceptibility. Some spiritualists go one stage further and regard the body as irrelevant! Certainly, balanced thinking contributes positively to good health and will help strengthen us; but it isn’t the whole story. Pollution of any type affects us multilaterally; and we are literally swimming in it. Being affected by it (and we all are, knowingly or otherwise) is more a ‘wake-up’ call to humanity to solve the problem as a whole – which might just mean transforming our entire socio-political and economic systems! 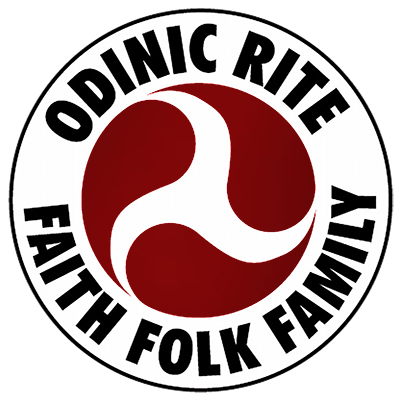 So how does all this affect us as Odinists spearheading the New Awakening? The simple fact is that a state of vibrant health is not only desirable, but is integral to our spirituality and our relationship with our Gods, since all aspects of ourselves- physical, mental, emotional, spiritual- are inseparable dynamic events that affect and are affected by each other continuously. Whilst in Midgard, our health is our real ‘insurance policy:’ our bodies are our temples through which we do our work here. Without health, our spiritual work is often severely hampered. And how do we deal with pollution? Whilst escape itself is impossible, we can become proactive about what we consume: you are what you eat! A return to basics is essential, so limit or avoid processed foods, drinks etc. Eat certified organic produce whenever possible. Avoid sugar: it is a slow, deadly poison and immunosupressant. Use basic personal care products from health shops: standard products contain severely toxic chemicals, which weaken the body’s integrity, can maim and cause birth defects. Hence, avoid commercial perfumes, deodorants, and aftershaves. Some US workplaces have banned these because of their debilitating health effects! Drink plenty of filtered water. Take food-state supplements. Walk, cycle, run etc (i.e. get plenty of fresh air). Rest when needed. And naturally, reduce alcohol consumption and avoid smoking! The quest for good health is kaleidoscopic. It is a commonsense pathway that awakens new ways of relating to yourself and the world around you. It roots us through its basis in the nine noble virtues and frees us from the tyranny of a ‘plastic’ culture. Our health is a sacred pathway to honest communion with our gods; for they are a part of us as we are of them.